It’s easy to use our web site to search for Madison open houses, Dane County open houses and open houses in South Central Wisconsin. 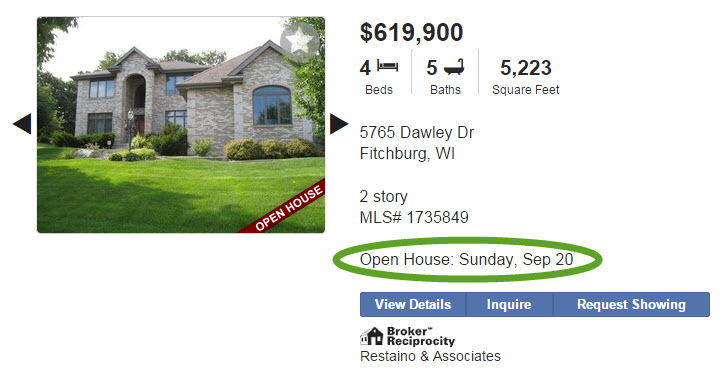 Our open house search works in conjunction with all of our Madison area real estate search tools. Remember, our search includes the listings submitted by every brokerage participating in the South Central Wisconsin MLS. Use our tool as a simple and efficient way to plan your Sunday open house schedule with up-to-date listing information. Got to our home page and select the Open House Search tab in the middle of the page. The screenshot below provides a quick example. 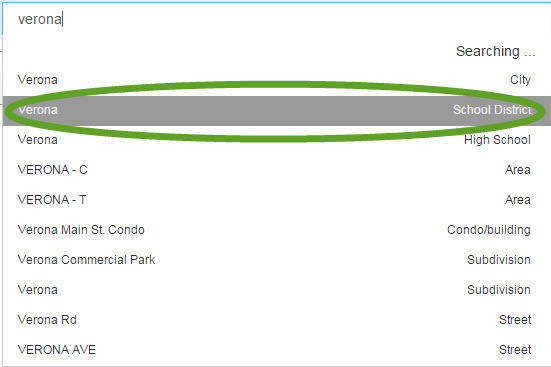 Our search tool will load all of the open houses scheduled within the entire MLS. From here you can narrow your search according to your specific criteria. For example, let’s suppose you’d like to do an open house search within the Verona School District. Simply enter “verona” into the search bar and select the appropriate option, in this case “School District”. The tool will then load all upcoming open houses. Each property listing will display the date of the upcoming open house. 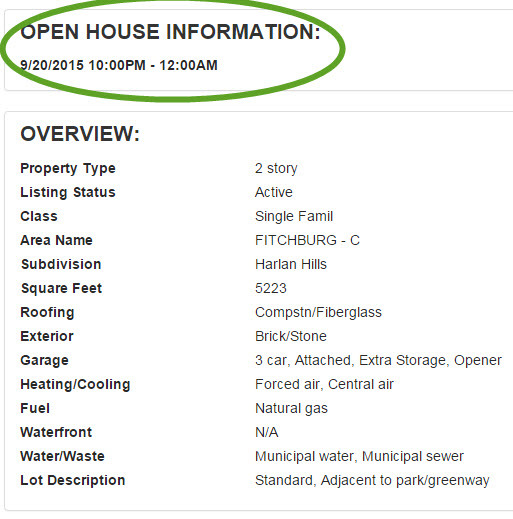 View the listing details and you’ll see the date and time for the scheduled open house. From here you can choose to save the listing as a favorite and add it to your open house schedule.